Food, Music, Chocolate and Wine! 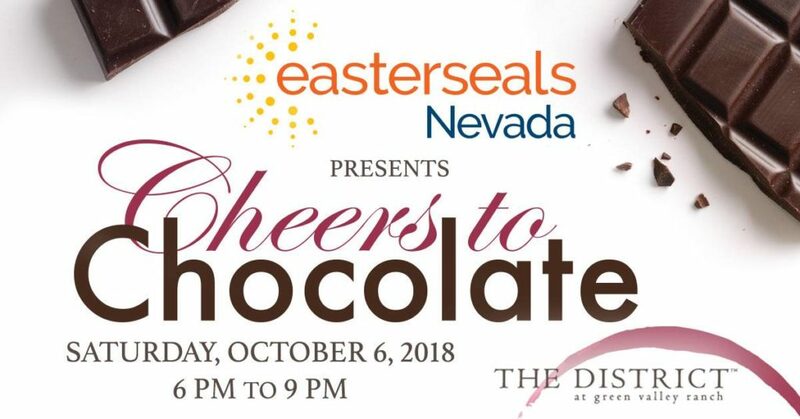 Get ready for an evening of food, music, chocolate and wine tasting as we support a great cause- Easterseals Nevada.The District at Green Valley Ranch provides the perfect backdrop for a fun filled evening with food, music, chocolate and of course wine tasting! Enjoy the 8th Annual Cheers to Chocolate on Saturday, October 6th beginning at 6pm. You won’t want to miss the biggest block party of the year. For nearly 100 years, Easterseals Nevada has been the resource for people and families living with all types of disabilities. Throughout all life’s moments – from the extraordinary to the ordinary and everything in between – Easterseals Nevada will create solutions that helps people with disabilities become self-sufficient through education, community partnerships and direct service. All proceeds from this event will go directly back to the programs and individuals served at Easterseals Nevada. 6:00 PM – 9:00 PM. Click here to purchase tickets. This event is 21 and up only.